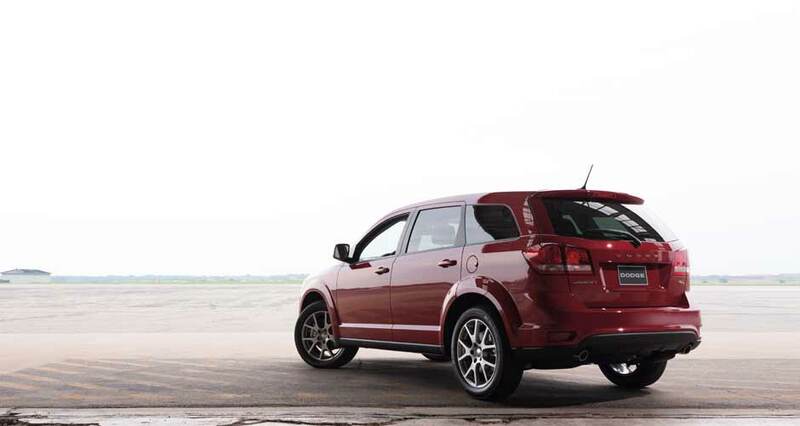 The Dodge Journey is a midsize crossover that's available in five- or seven-seat configurations. It's also offered with front- or all-wheel drive. Competitors include the Ford Edge, Honda Pilot and Toyota Highlander. The Crew model has been replaced by a Limited trim level, and satellite radio is now available for all Journey trims. On paper, the Journey seems to cross competitor boundaries: It's priced better than a Toyota RAV4, but offers content more in line with the larger, more expensive Toyota Highlander. But does this segment-bending work in the real world? Can an older-but-updated model like the Journey truly be competitive? The Dodge Journey packs 173-horsepower, 2.4-liter four-cylinder engine, with available 283-hp, 3.6-liter V-6 Four-speed automatic transmission (four-cylinder), Available six-speed automatic (V-6), Four-cylinder model is front-wheel drive only; V-6 versions can have front- or all-wheel drive. Both engines use regular gas. Maximum towing capacity is 1,000 pounds for the four-cylinder, 2,500 pounds for the V-6. The 2014 Dodge Journey's exterior has a Crosshair grille, Flared fenders, 17-inch wheels; 19-inch aluminum wheels available, Power heated side mirrors, Dual exhaust tips with available V-6 engine, as well as an available roof rails, LED taillights, fog lights, and a power sunroof. The interior includes Fabric-covered seats; leather-trimmed seats available, Available heated front seats, Manual air conditioning; automatic air conditioning available, Tilt/telescoping steering wheel with audio controls, Second-row floor bins, Touch-screen stereo with 4.3-inch display, MP3 jack and USB port; available 8.4-inch touch-screen system, Available Infinity premium stereo, built-in second-row booster seats, and a storage compartment inside front-passenger seat. The Journey earned at least four stars in all National Highway Traffic Safety Administration crash tests, with a scattering of five-star ratings in select tests. For safety features, this vehicle has: Antilock brakes, Side-impact airbags for the front seats, Side curtain airbags, Driver's knee airbag, Electronic stability system with electronic roll mitigation and trailer-sway control, Front active head restraints, Available rear parking sensors and a backup camera. For more information on this vehicle, feel free to give us a call today!